All About Having Fun and Learning! Surf camp in San Jose Del Cabo is one of Club Ed’s exclusive premium surf camps. “Surfing the Mexican Riviera!” We stay at the Cabo Surf Hotel, directly in front of the surf break called Old Man’s; this is a great break for learning and long boarding, generally in the waist high to shoulder high category, but can also become overhead when the swell comes up. Surfing is more than a sport; it’s a way of life. 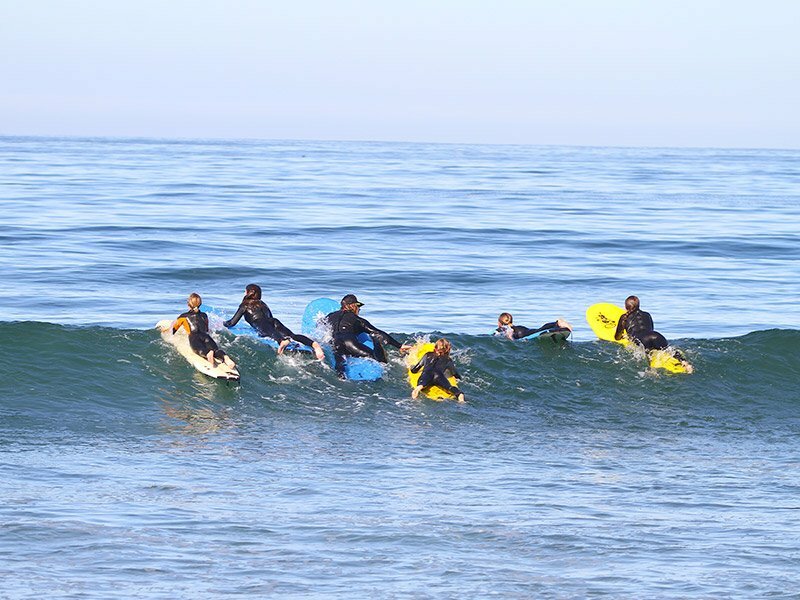 Our Surf Camps are custom designed to enable surfers of all ages and skill levels to live the dream of riding waves to their hearts content, eating delicious food, camping on the beach and relaxing in the afternoon sun with friends on the beach. 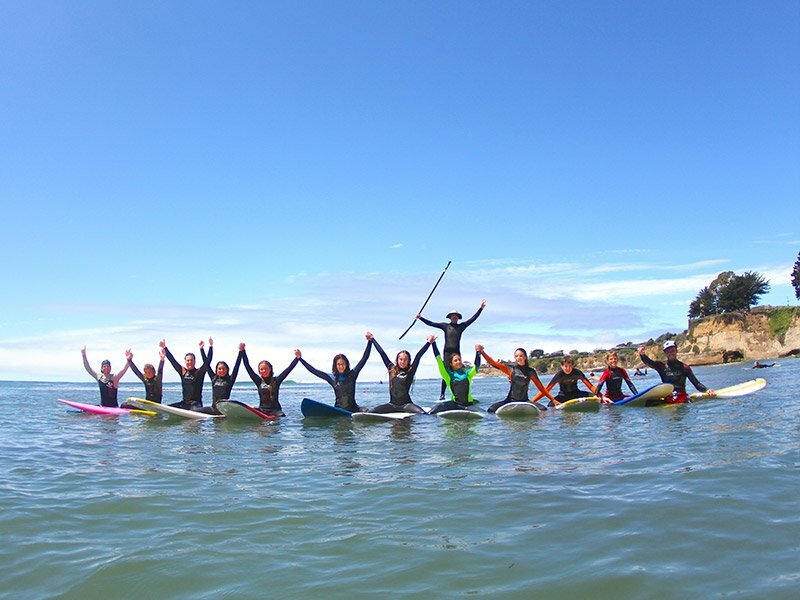 Club Ed Surf Camp is all about having fun and learning in the safest environment possible. 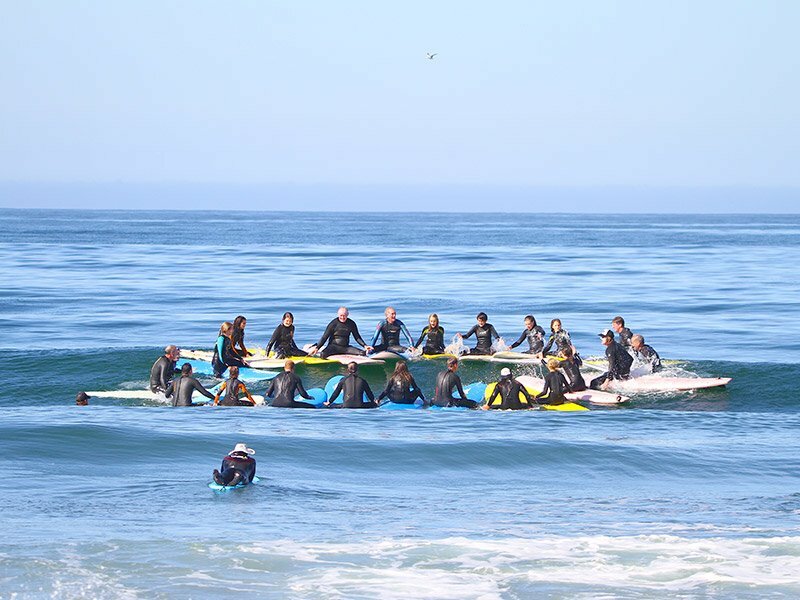 Beginner and experienced surfers will progress quickly under the attentive eyes of camp founder, Ed Guzman and his team of excellent surfing instructors. 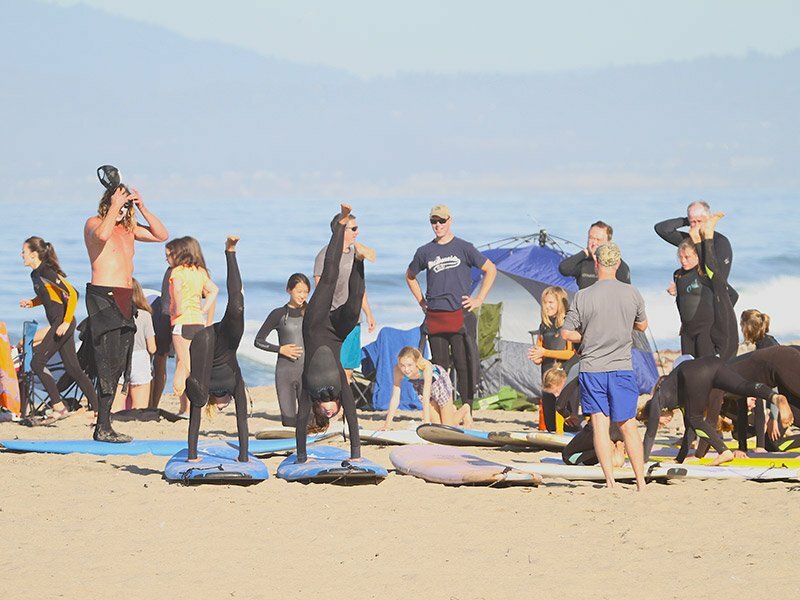 Our overnight camp is located at the Manresa Uplands State Park, just steps away from our secluded surf break where you can surf to your hearts content. 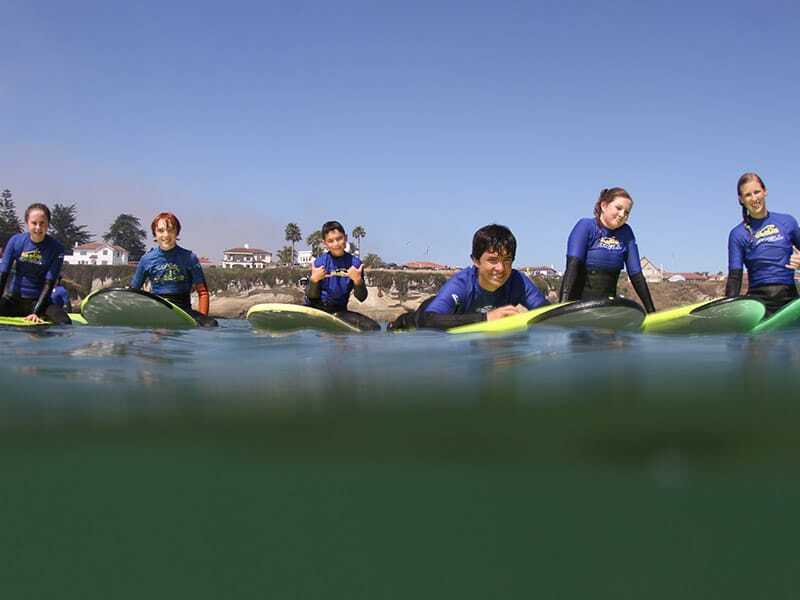 Join your choice of Adult only or All-Ages Summer Surf Camp along the pristine shore of the Monterey Bay Marine Sanctuary and enjoy the easy atmosphere and natural beauty of one of the world’s most diverse ecosystems. 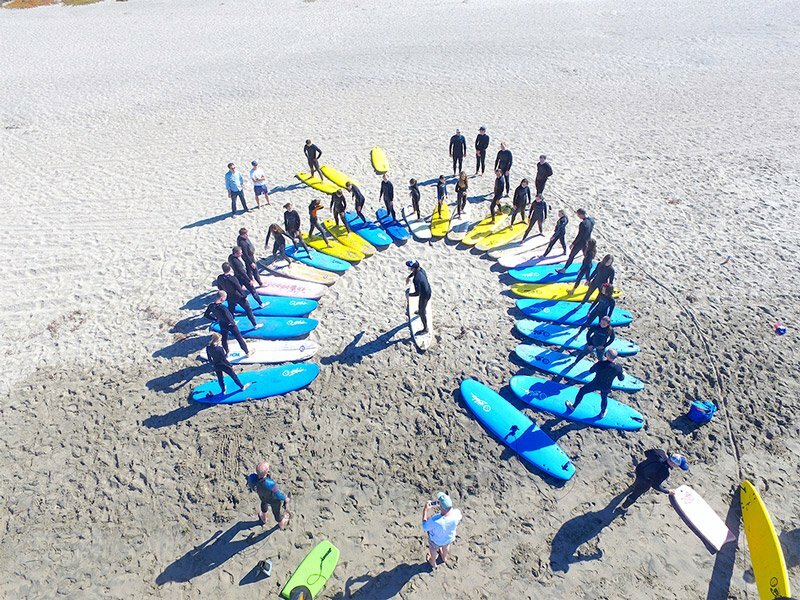 Campers regularly surf with dolphins, seals and sea otters. Each day offers new and exciting adventures. In addition to surfing, campers can play Ping-Pong, relax at the campfire, play beach volleyball or takei a well-deserved surf nap. We even venture beyond camp to visit local attractions like the Santa Cruz Beach Boardwalk, the Santa Cruz Surf Museum, the Arrow Surfboard factory or go to a summertime movie. 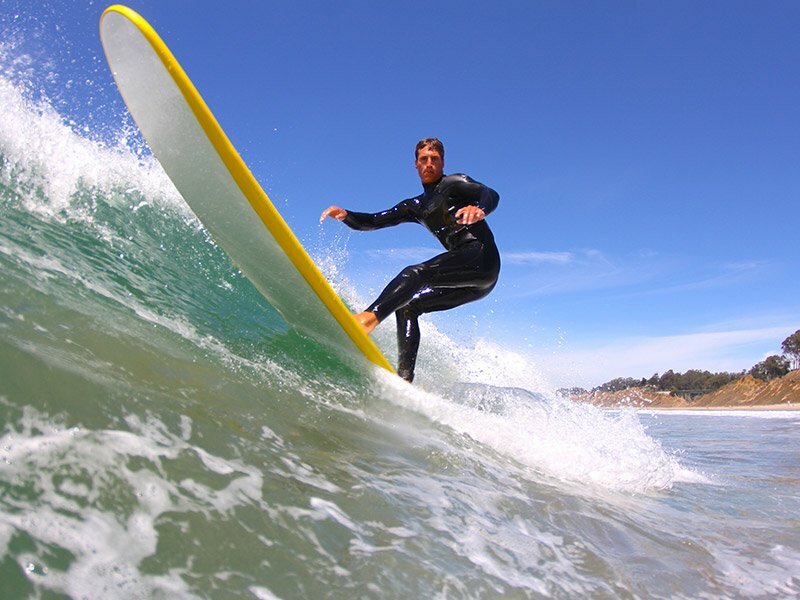 We provide surfboards, wetsuits (or bring your own) and unparalleled surfing instruction. You will eat delicious healthy meals prepared the Club Ed staff and by some of the best restaurants & caterers in the Santa Cruz area. Each camper receives a special edition Club Ed Surf Camp T-shirt, massage and DVD surfing video starring you and your fellow surf campers. You will become a much better surfer by the end of the week and have lots of fun. We guarantee it! Today I had the most incredible experience surfing with Ed. His passion and knowledge of the ocean spewed throughout the entire lesson allowing me to learn and grow so much in such little time. 10/10 would recommend a surf lesson with Club-Ed for all ages and levels. I still have a smile one my face and will never forgot this experience!